The Salvation Army has a long history of working with people who are vulnerable and marginalised across the world, offering practical help, unconditional assistance and support regardless of race, religion, gender or sexual orientation. The Salvation Army doesn't judge or condemn, it just helps. The officers, staff and volunteers of The Salvation Army devote themselves to helping people at the lowest point in their lives - homeless people who have lost everything, families trapped in poverty and older people who are forgotten and lonely. With your help The Salvation Army can reach out to all these people in genuine, urgent need. There are more than 800 Salvation Army social service centres and churches (corps) across the UK and Republic of Ireland. 120 drop-in centres are also run to offer support and help for people in need and serve 3,000,000 meals every year at community and residential centres. Every working day, The Salvation Army reunites 10 people with their families through its Family Tracing Service. The Salvation Army is motivated by its Christian faith as part of the universal Christian church; as such they care for all people without discrimination. 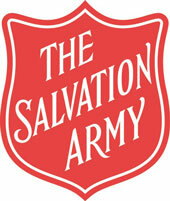 Anyone who comes to The Salvation Army will receive assistance based solely on need and their capacity to provide help. Employing a large number of people of other faiths, cultures and varying sexual orientation, The Salvation Army respects and values the rich diversity of its staff and the communities in which it serves. Your car donation will enable The Salvation Army to give shelter to a homeless person and the chance of a fresh start in life, to invite lonely older people to one of our centres for a meal and companionship, or to provide practical and emotional support to a family living on the breadline. Please donate your car today and help The Salvation Army to work miracles.